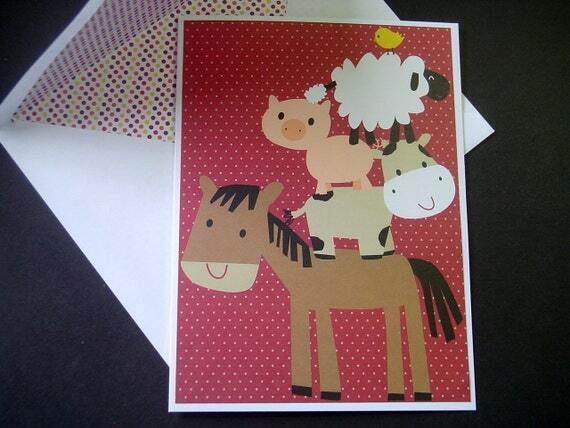 Very fun card with baby farm animals on the front and stamped Happy Birthday inside. Great for that special child's birthday! 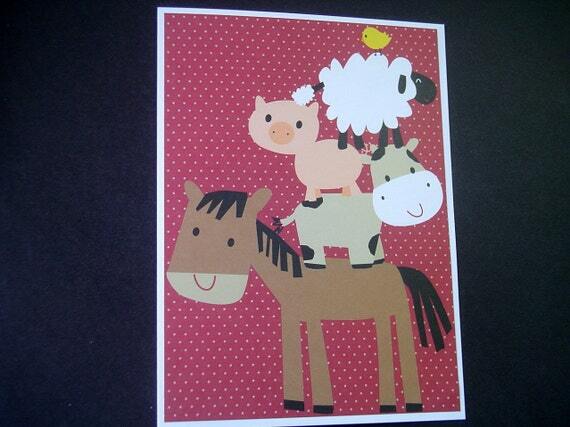 I hand cut and folded a piece of white card stock and layered it with this fun paper of the barnyard babies. 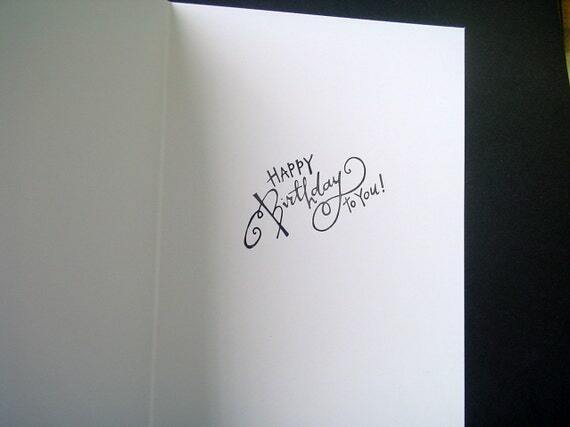 On the inside of the card, I hand stamped the greeting Happy Birthday to You in black ink. 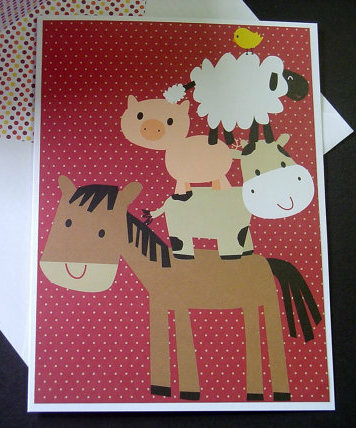 The card measures 5 1/2" x 7 1/2" and comes with a handmade white envelope that is lined with multicolored dotted paper.